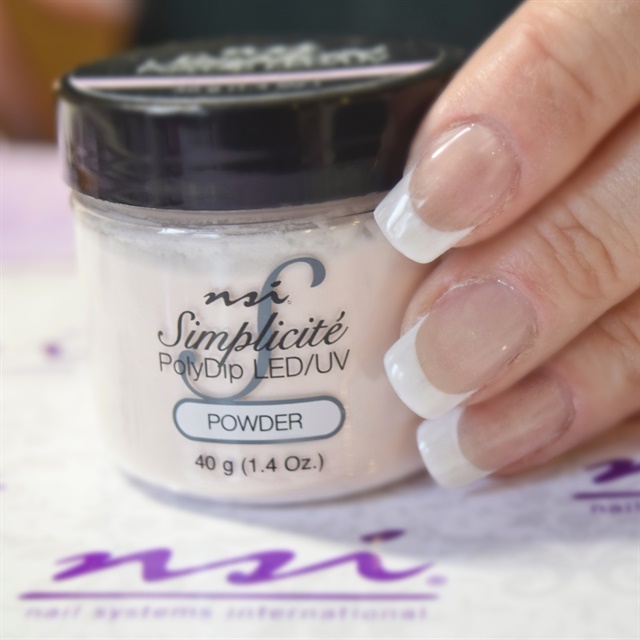 NSI’s new Simplicite PolyDip system uses poly bonded oligomer technology for a light-cured system that allows a faster service and keeps clients’ nails stronger and healthier. The odorless system can be used for natural nail and tip overlays. The formula bonds to the natural nail, absorbs the polymer, and, once cured, stays strong, durable, and flexible. The Simplicite oligomers hug the nail plate like a polish for a strong bond. Simplicite polymers absorb into the oligomer without losing the clarity or color of the powder. To win a Simplicite PolyDip Discover Kit, leave a comment on this blog post. One winner (U.S. only) will be selected at random on Monday, April 10th. Good luck!